Albion. Model WD. BY1N.Spares list. Albion.Model W.D. BY3N. Spares list. Albion.W.D.FT15N.Tractor.6x6.Field Artillery, with winch. 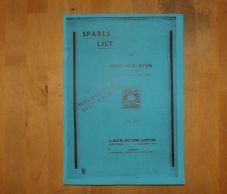 Spares list.